Not exactly words I’d expect to hear from a high school football player as I arrive to shoot a practice. But then again, it’s pretty rare to be shooting football practice on an island over 7,000 miles from home. When our crew showed up at Faga’itua high school’s practice field in American Samoa, it was unlike anything I’d seen – a field surrounded by palm trees, water lapping the shoreline not far from the edge of play, gigantic mountains encircling us in a horseshoe that gave the field a feel of being a cavernous stadium…and of course the coconuts and donuts. It felt like we’d found football in paradise. It was easy to get sucked into the beauty and not notice the unlined field filled with potholes and gravel patches, the damage to all of the helmets, players wearing old, beat up cleats, and others wearing no shoes at all. It’s a juxtaposition that can be seen throughout the island. 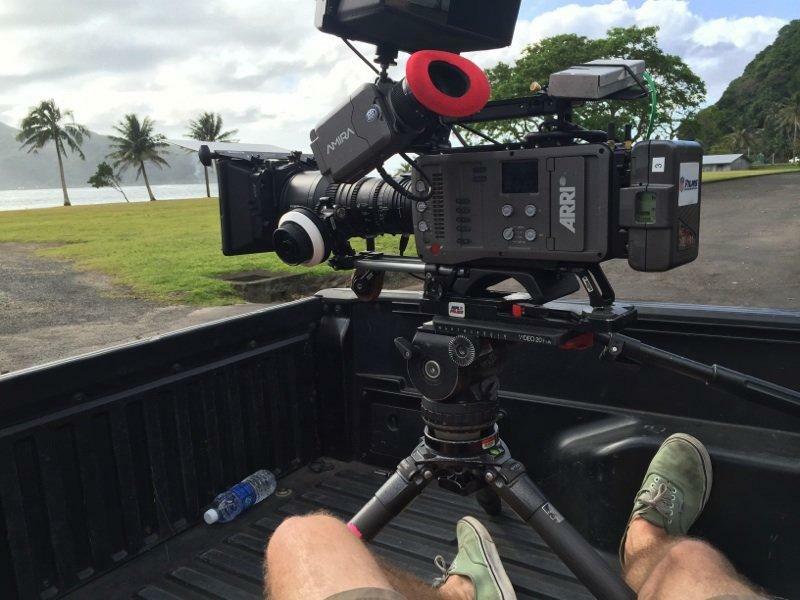 That’s just one of many experiences we had during NFL Films’ first trip to American Samoa. Considering the number of players that have come from this tiny island in the South Pacific, it was hard to believe we haven’t been here before. 21 hours of flying on three airplanes, and landing on one of the only two weekly flights from the U.S., helped me realize why it’s not exactly a regular location on our shoot schedule. 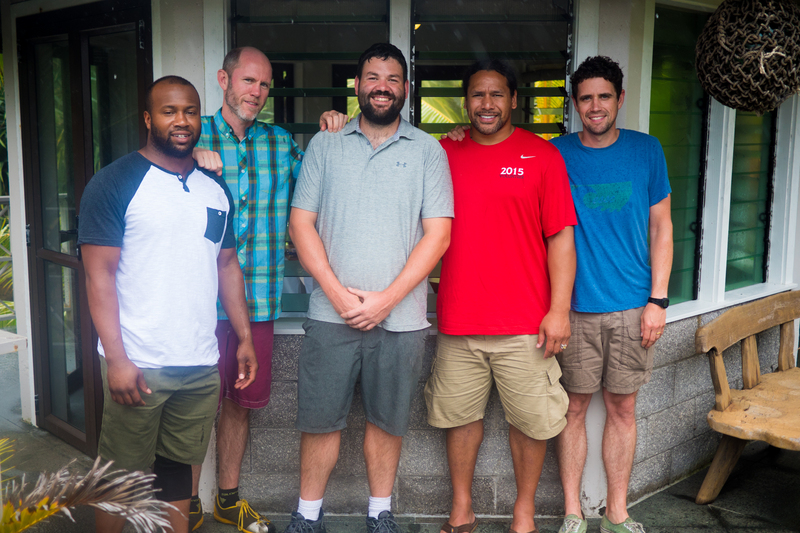 But when you get an invite to tag along with Troy Polamalu and experience life on the island of his heritage, you figure out a way to make it happen. For six years now, Troy and his wife Theodora have been the driving force behind The Fa’aSamoa Initiative, an organization that started as a football camp, but has evolved into providing resources throughout the island, including volleyball, educational and medical efforts. Like we’ve all come to know from his playing career, Troy isn’t one to boast. He’ll quickly point out that he doesn’t coach at the camp, nor does he teach or personally provide medical support, but seeing him behind the scenes, you understand why the people in those positions come in droves to help. And once you meet the people of American Samoa, and see how their lives are positively changed from something like this, you understand why everyone is dedicated to continuing the mission of Fa’aSamoa. 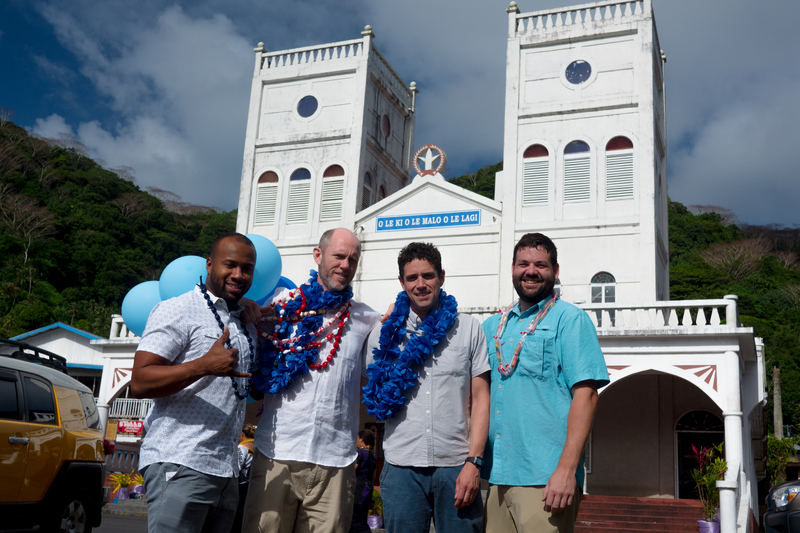 We didn’t find apple pie in American Samoa, but along with the donuts and some impressive football, we met people from a unique island, that were also as American as anyone on the mainland. We hope you see the episode of “NFL Films Presents” and consider experiencing or supporting this little slice of Americana in the Pacific yourself. “NFL Films Presents: Troy Polamalu in American Samoa” tonight at 7:30pm/ET on Fox Sports 1. Click below to view the trailer!